Trust administration is a complicated and lengthy process. If you have been named the administrator of a trust near Tracy or Manteca , it’s in your best interests to connect with a lawyer who handles estate planning cases. Your lawyer can work one-on-one with you to help you understand your duties and legal obligations. By working with an attorney, you can rest assured that you won’t neglect any important details of trust administration. If you were close to the decedent, it’s only natural that you would need some time to grieve before working on estate matters. Fortunately, the first task you’ll need to perform is usually the easiest. The funeral home will order death certificates on your behalf; ask the funeral director for eight to 12 copies. You’ll need them for many of your upcoming tasks. 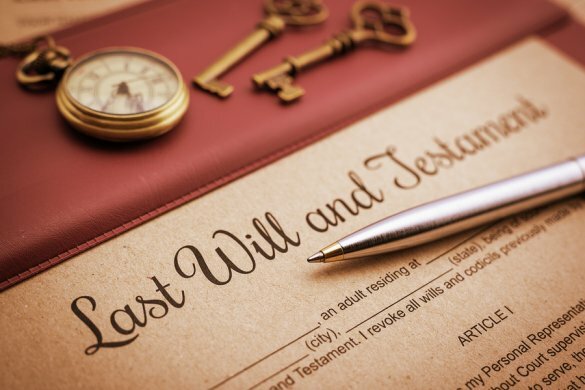 Next, you’ll need to file the original will, death certificate, and a request for probate with the court for the county in which the decedent had been residing at the time of his or her death. You’ll have lots of notifications to make. Consider asking your lawyer for a checklist of notifications to ensure that you don’t forget any of them. First, call the Social Security Administration (SSA) to notify the agency of the death. Regardless of exactly when the death occurred during the month, the Social Security payment for that month must be returned. You’ll also need to notify the state department of health of the death. Within 60 days of the death, you must identify and notify the beneficiaries and heirs. These notifications must be made in writing by mail and they must include certain information such as the identity of the decedent, date of execution of the trust instrument, and the name, mailing address, and phone number of each trustee. Next, your lawyer will walk you through the process of making an inventory of all trust assets. You’ll obtain a taxpayer identification number from the IRS. This allows you to report the trust’s gains and losses before you distribute the assets. Then, you’ll transfer the property into your name (as trustee). Additionally, you may need to hire appraisers to determine the correct value of assets. Once these steps are complete, you can satisfy the decedent’s debts and tax liabilities, and begin distributing the trust property to the beneficiaries.